Recent episodes of Inkling Radio, a podcast about J. R. R. Tolkien, C. S. Lewis, and the other Inklings of Oxford. In the latest episode of Inkling Radio we discuss: The lifelong legacy of Leonard Nimoy as an influence in science fiction and fantasy, and as a huge Tolkien fan himself. Gollum. Is he good or bad? Can or should we hold him responsible for his actions? Could this possibly by the most complex and layered character that Tolkien ever wrote? Chapters 2 & 3 of Out of the Silent Planet, a space-travel novel from C. S. Lewis. Next week we will be reading chapters 4 & 5 of Out of the Silent Planet by C. S. Lewis. Sit back and relax with Jason, Aaron, and Robin as they discuss the magical worlds of the Inklings, including the world of Middle-Earth by J. R. R. Tolkien, the world of Narnia by C. S. Lewis, and many more. If you're a Lord of the Rings fan, a Narnia fan, or simply a fan of fantasy literature, this is the podcast for you. We would like to thank the fantastic Rachel Pepperdine for creating our album art. 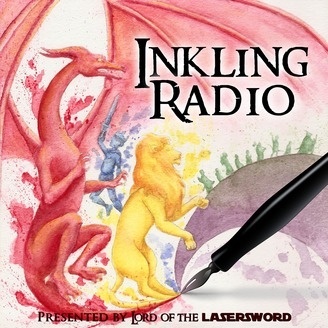 Email us at inklingradio@gmail.com (you can also send audio files to that address as voicemails) or follow us on Twitter at @inklingradio. 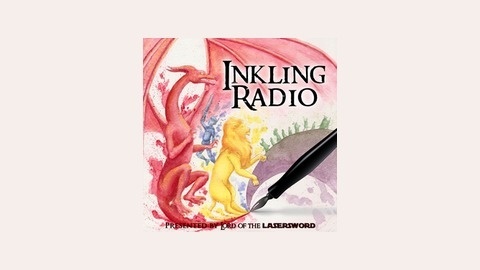 You can also find us on Facebook at facebook.com/inklingradio. This episode is available on iTunes, Stitcher, and Feedburner.